Many families will find themselves the victims of timeshare scams and will end up throwing money away on timeshare payments every month. Our timeshare exit team is here to help and can help you get rid of your timeshare, for good. You may have been enticed by the free offers. Many timeshare companies will offer you free vacations, t-shirts, cruises, or even boats to sign up for a timeshare. They will also offer you an impressive (and expensive) spread of free food. Some may even give you champagne to impress you and make you less likely to use good judgment. Or you may have felt guilted into buying a timeshare by an aggressive sales person. Timeshare companies use sales professionals who have a lot of experience selling things. Seriously. Some may even sell used cars to used car salesmen. They are very good at getting people to buy things. 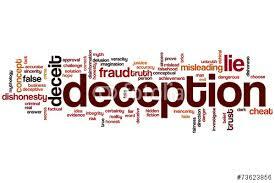 If you have been scammed into buying a timeshare you don’t want, you may find that you need to cancel your timeshare. The company that sold you your timeshare will tell you there is no way to cancel a timeshare after your timeshare cancellation period. This is simply not true. Our dedicated timeshare exit team can help you cancel your timeshare. At Time Share Cancel Center, we have a specialized timeshare exit team and our only job is to help you cancel your timeshare, even when the resort says you can’t. You may have heard that you need a special time share attorney, but I’m here to tell you, that is not true. 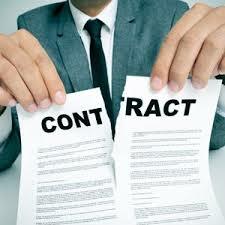 A timeshare cancellation attorney will waste time and money with a drawn out legal process. Selling your timeshare is another option but you will often lose money. We can help you cancel your timeshare with less out of pocket cost and with less overall captial loss. We can help you. If you want to cancel a timeshare, you will need a timeshare cancellation letter. You may think this is something you can do on your own. But remember, that company who has people who specialize in sales also has people who specialize in contract law. If you letter is not perfect, you will not get the timeshare cancellation that you need. Our timeshare exit team has seen many examples of people who have tried to cancel a timeshare on their own. Often the make a BIG mess of the cancellation process. We have even seen some examples where people got it so mixed up that not even we could cancel their timeshare. Instead of trying to do it on your own, use our timeshare cancellation experts. We can write a resort authorized cancellation letter that is guaranteed to get you out of your timeshare. That’s right, all of our work is guaranteed! You won’t find that in the timeshare industry often. Again, all of our timeshare cancellation services come with a full 100% money-back guaranteed. We know how to get rid of a timeshare by doing a fully authorized timeshare cancellation. We can help you to cancel timeshare mortgage payments, maintenance fees, and assessments and get a fully authorized timeshare cancellation letter from the timeshare company. Timeshare companies would also have you believe that they only way to get out of a timeshare is to donate it, give it away, sell it, or go through legal action. Most timeshare companies would have you believe that they will never voluntarily take back a timeshare and will not cancel it under any circumstances. Our timeshare exit team wants you to know that this is not true. It is true that most timeshare companies will not willingly take back their timeshare. However, with our timeshare exit team on your side, the company can be convinced to release you from your timeshare obligations. Call us to cancel your timeshare or simply for one of our free timeshare exit team reviews. We stand behind our work and are proud to offer a money back guarantee.